Feb. 11 (NBD) – Beijing Miwu Technology Co Ltd, a subsidiary of smartphone vendor Xiaomi, together with Shenzhen Jinjia Group Co Ltd, has set up a joint venture, which focuses on new tobacco products such as heat-not-burn cigarettes and e-cigarettes and plans to promote e-cigarettes in the first half of 2019, according to an investor relations memo from Jinjia Group released on January 30. The joint venture has registered capital of 20 million yuan (3.0 million U.S. dollars), with Jinjia Group holding a 55 percent stake, Miwu 44 percent and other venture capital companies 5 percent. It seems that Xiaomi is finding a new growth engine after taking a hit in the smartphone industry last year. According to International Data Corporation, for the fourth quarter of 2018, Xiaomi's smartphone shipments increased by mere 1.4 percent over the previous year and dropped by nearly 17 percent compared with those for the third quarter. An anonymous analyst in the electronic industry said to news outlet Yicai that the sales slump of Xiaomi in the fourth quarter is mainly resulted from the underperformed sales of middle and high-end mobile phones. He noted that Xiaomi's rival Huawei promoted several new products in the third and fourth quarter of last year and Apple also offered price cuts recently to take back the market share. The future of Xiaomi smartphones is still full of challenges. Under such circumstances, Lei Jun, founder of the Chinese smartphone maker, once declared that the company will ramp up efforts in the major home appliances sector, which has high gross margin. The tie-up between Xiaomi's subsidiary and Jinjia Group indicated e-cigarettes, with whopping profits, are likely to be the next growth driver. 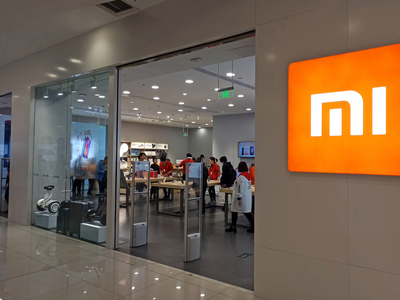 An insider close to Xiaomi told Yicai that the joint venture will operate independently and it is currently unknown whether its products will be sold at Mi outlet stores in the future. Additionally, the insider added that Xiaomi will still prioritize major home appliances and Redmi models to make a breakthrough in the future. But, in the above-mentioned analyst's view, Xiaomi's fast growth in the past should be largely attributed to the retreat of LeTV, Gionee and Coolpad. After that, the smartphone manufacturer's growth rate will face larger uncertainties. Zhang Yidong, an analyst with Industrial Securities, stated that this year may see smartphone shipments continue to decline. According to him, Xiaomi is now undergoing a period when new growth drivers are taking the place of the old ones. Its revenue sources can be divided as two parts, one from sales of smartphones and TVs and other related businesses and the other from proceeds of IoT products and e-commerce.